The doula approach to death offers opportunities to explore the meaning of life and to convey that meaning through legacy work. 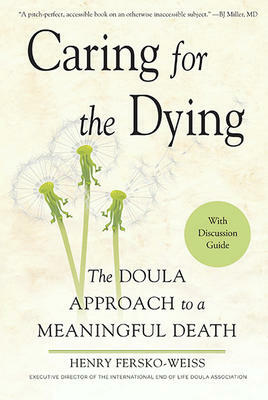 Based on the model of care provided by birth doulas, it emphasizes thoughtful planning for how the last days of life should look, sound, and feel and calls for around-the-clock vigil care, which provides emotional and spiritual support for both the dying person and their loved ones. Fersko-Weiss recounts beautiful stories that show that dying doesn't need to be as bleak and soul-wrenching as we think. It can be meaningful and even life affirming. Discussion guide included.